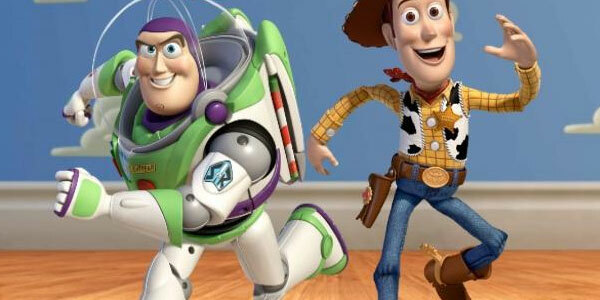 Since the making of Toy Story, Pixar has reached legendary status in the film industry. The studio has not only collected eight Academy Awards, but produced some of the greatest animated movies ever made. It makes you think about all of the decisions that were made right at the start and the directions that were chosen that could drive their success on the big screen - and it turns out that The Wizard Of Oz, Star Wars and Snow White were immensely influential in those choices. Clearly this strategy wound up working quite well for Pixar, and even as technology has progressed it hasn’t really changed. At this point animation can be stunning and photo real, but the fact that Pixar consistently puts its story and characters above everything else that makes most of their movies emotional and wonderful. We took a broad view, thinking this was our one shot, and we used to say, ‘We’re in it for the grandkids, not the kids’ - meaning I’m actually in this for the long haul. I’m hoping that it will go past one generation to the next, without any of the hoopla of [being] the first computer animated movie ever. If you strip all of that away and the context of everything in the world changes, and this is just found on a chip somewhere and watched, will it be watched, and that was what our phrase, we’re in it for the grandkids. It won’t be long until we get another taste of Pixar’s particular brand. Finding Dory, the long-awaited sequel to the Oscar-winning Finding Nemo, is arriving in theaters in just a few weeks, on June 17th. Be sure to stay tuned for more of our coverage of the movie in the weeks ahead!